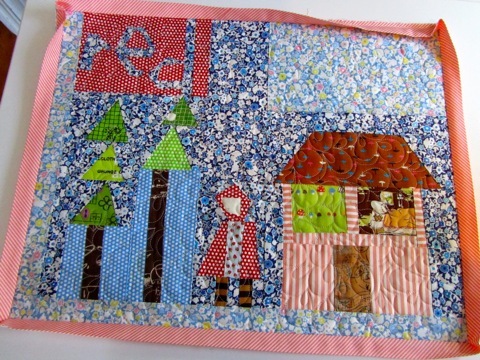 OK, I just have to say that John has made a stunner of a quilt for his Little Quilts Blog Tour partner! He made up Sarah‘s Not Quite Hawaiian in a most fabulous fabric combo. I gasped when I saw it. Could you just die? Or at least have a kitten over this? Thanks, John, for joining us on the tour!! And, if you haven’t already, be sure to wish John a happy (belated) birthday when you stop by his blog! 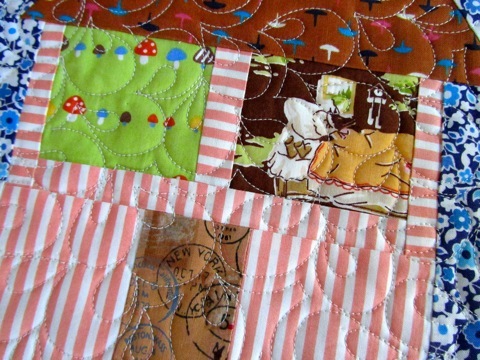 I’m just finishing up my swap quilt for my blog tour partner. 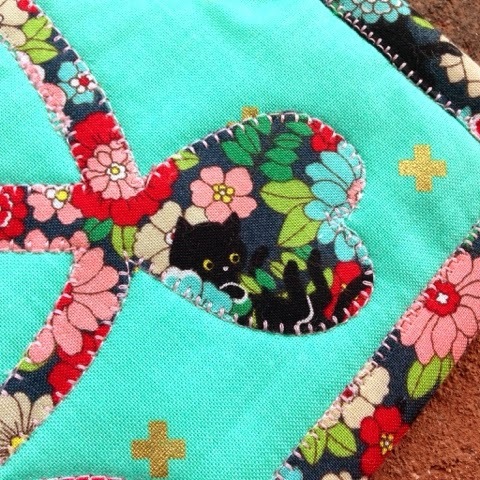 I worked wonky this week on Sarah’s Grandma’s House quilt. Wonky can be tricky. It’s not as easy as it looks. All free form and stuff while still trying to make it look like a thing. I learned some things. I could swear it was easier when I made it the first time. I feel so rigid. It was great fun to make up this quilt — to choose fabrics and think about what my partner might like. I do hope he/she likes it. It is, ahem, perhaps a tad quirkier than anticipated but it was still great fun! Now to get it in the mail! 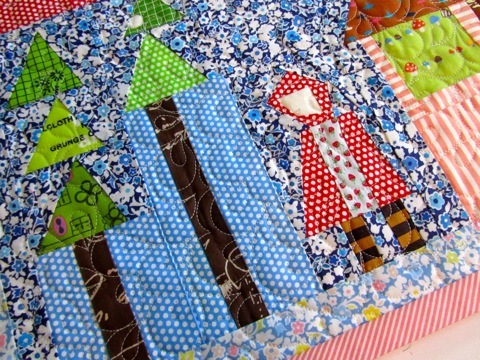 One more stop on the Little Quilts blog tour next week!! You’d think I could have made one more block before posting this picture. Alas, this was progress as of yesterday and I had to suspend fun operations to get back to more serious projects. With deadlines. My One Block Over bee members made some of the blocks. I made some of the blocks. I’m so appreciative to have had the bee members sewing for me in May. It really gave this project a jump start. I have a lot of cutting done for this but I NEVER have enough X fabrics cut. I have a hard time picking fabrics for the X part. Don’t know why. 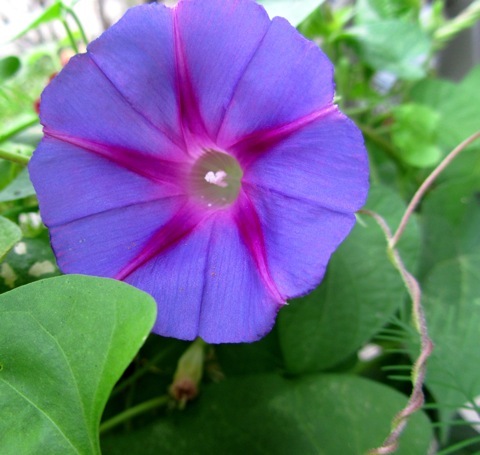 Yeah, you’re making me nervous about the impending morning glory takeover. I’ve been considering other “gardens” around the neighborhood. 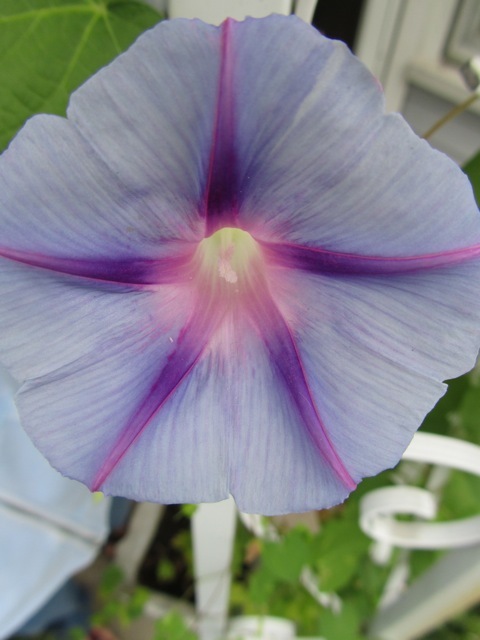 I’d admired the morning glories. And then I saw a fence that had been wrapped fiercely in the little buggers. I’ll have to keep ours in check — haven’t let them go up on the porch roof at least. Until the takeover, I’ll continue to enjoy the day’s crop because it is an ever-changing scene. 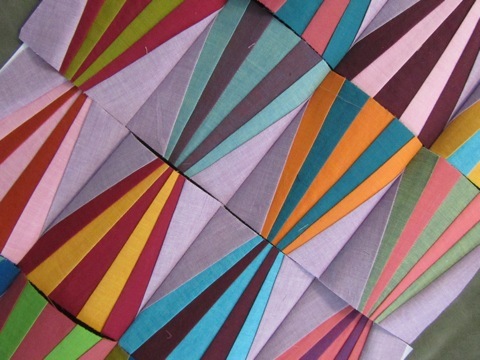 I must say, the shot cottons paper pieced like a DREAM! It was quite thrilling to see how nicely they fell flat at the seams!